The Ghastlies Blog Hop is almost here and I can't wait to show you what I've conjured up! This quilt has been haunting me since last Halloween and is absolutely to die for. 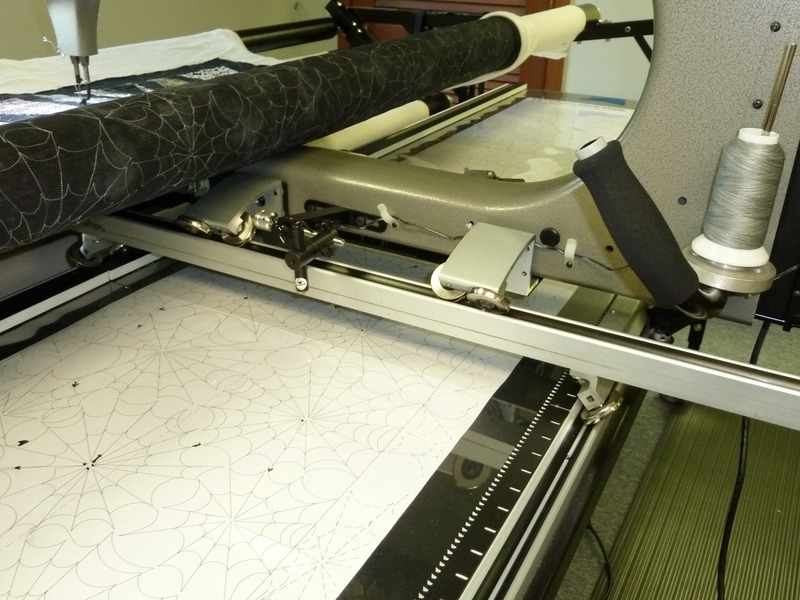 Here's a teaser of it being quilted on Laurena's longarm. I'd seen a few quilts on flickr using this fabulous Charlotte's Web panto by Anne Bright and just knew it would be perfect! It's a rather complex pattern and took me waaay longer to quilt then I'd expected but once you get in the groove it flows pretty well. You are going to make the rest of us look simply Ghastlie compared to this quilt you've conjured up for our Blog Hop. Can't wait to see it!! 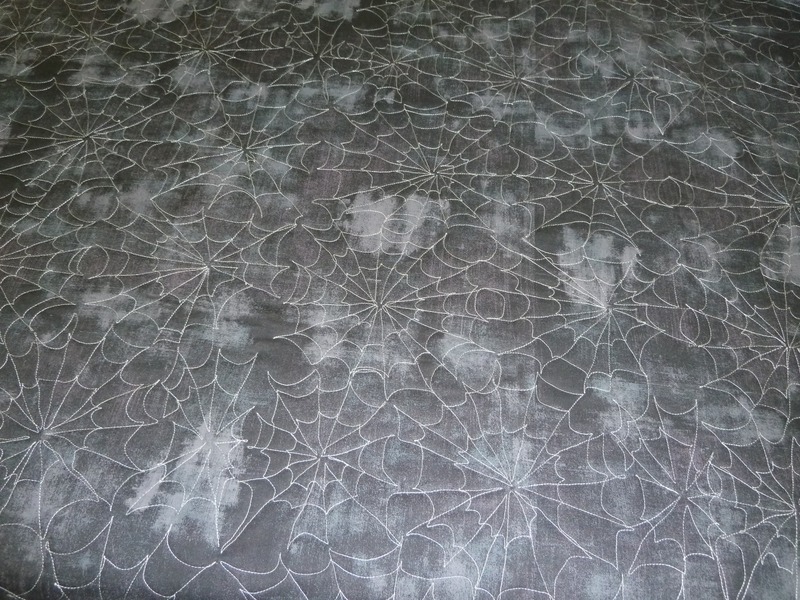 LOVE the spiderweb quilting. I cannot wait to see the front!